GPS data from the Plate Boundary Observatory’s station at Marshall Field in Colorado is being used by Kristine Larsen at the University of Colorado at Boulder to measure snow depth around the station monument. 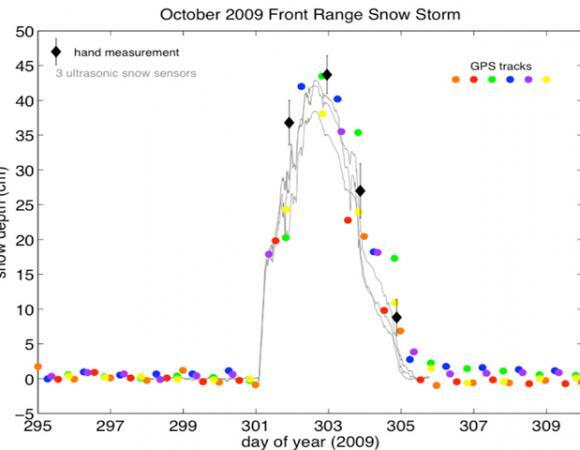 By tracking changes in the amplitude and frequency of the “multipath” reflection of the GPS signal from the surface beneath the GPS antenna, Kristine and her colleagues have shown that they can closely reproduce the time history of measurements from nearby ultrasonic snow depth sensors. 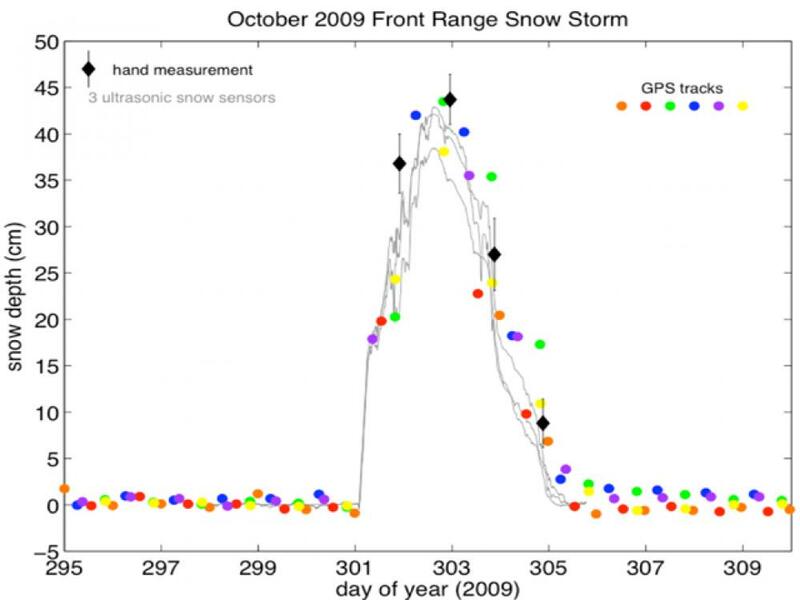 A GRL paper earlier this year documented these results for two spring snowstorms (Larsen, Gutmann, Zavorotny, Braun, Williams and Nievinski, 2009), and analysis following the recent October 28~30 snowstorm (see figure below) confirms the earlier findings.